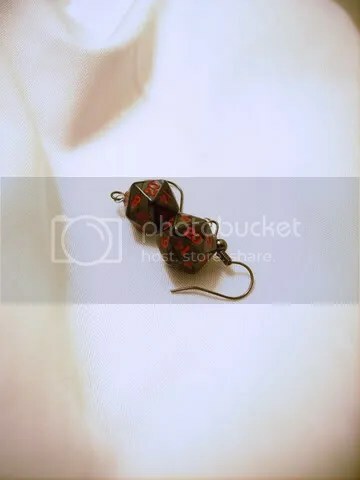 This pair of earrings are from a collection I have up for sale and was made from a pair of mini 12mm smooth-looking pearl charcoal twenty-sided dice with red numbers which lends it a dark, mysterious air. 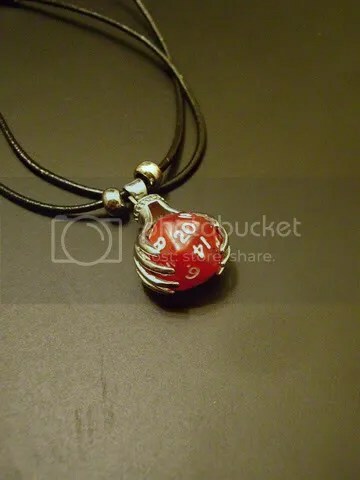 Perfect for a Dungeon Master or Necromancer-in-training. Or to match the little black dress you wanted to wear without having to give up too much of your geekiness. 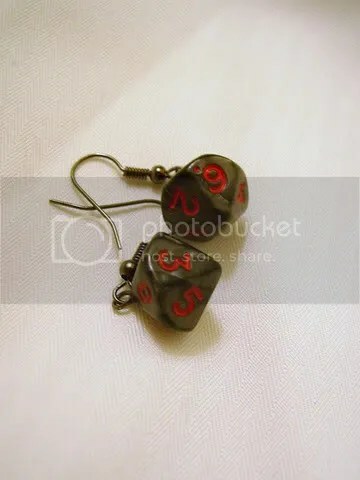 This pair of earrings are from a collection I have up for sale and was made from a pair of mini 12mm smooth-looking pearl charcoal ten-sided dice with red numbers which lends it a dark, mysterious air. 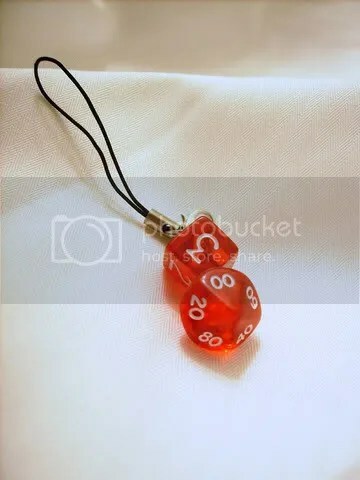 Perfect for a Dungeon Master or Necromancer-in-training. Or to match the little black dress you wanted to wear without having to give up too much of your geekiness. 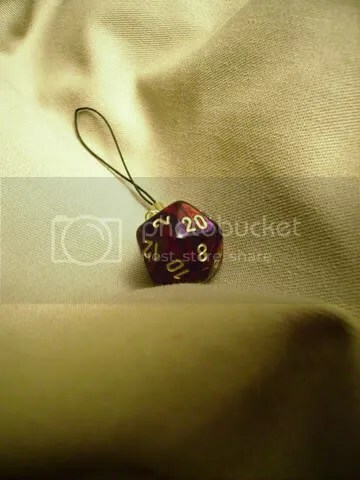 Because the mini-d10’s are no longer in production by Koplow Games I am desperate to find more. Please do let me know if you find any! 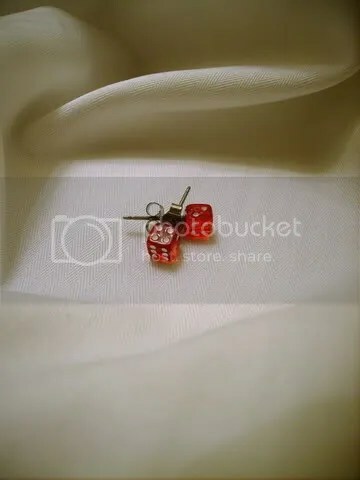 This particular pair of earrings are from a collection I have up for sale and was actually my first successful venture into earrings on posts. These were made from a pair of tiny (not tiny enough for me, I say! 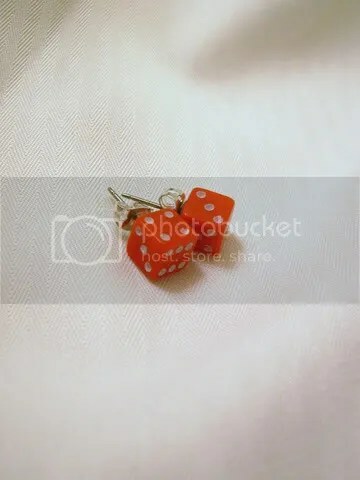 ), solid colored opaque 6mm Red six-sided dice with white pips.